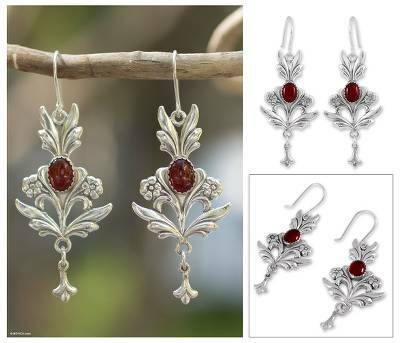 Sterling Silver Carnelian Earrings, "Romance"
Plants send out new leaves and blossoms in a joyous declaration of love. Depicted in silver, they clasp bright carnelians in their argent embrace. Gianluca Anzani creates elegant earrings that celebrate romance.